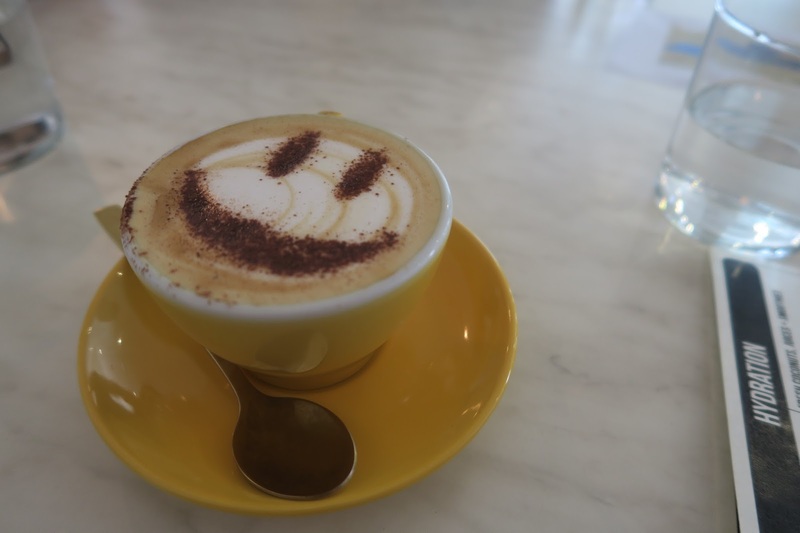 Serotonin is a neurotransmitter that is thought to be a contributor of well-being of wellbeing and happiness, with a name like this, it is no surprise that Serotonin (the café not the neurotransmitter) boasted a large range of plant-based, organic food drinks to boost up your happiness. None of us had ever tried a coffee with coconut milk before, it had quite a distinct flavour, but if you like coconut, you’ll probably like this. 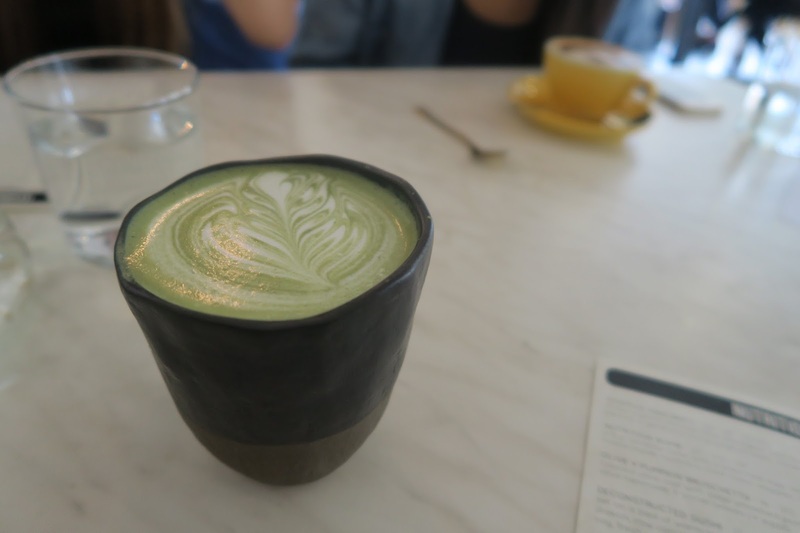 The matcha latte was soooooo bitter, don’t get me wrong, the matcha flavour was very strong too, but it was a lot more bitter than I’m used to, which meant I dumped two spoonful of sugar into it. After that, this was pleasant to drink, with the black irregularly shaped hug mug from Made in Japan adding some extra quirk. The kitchen somehow forgot about our orders, and when we asked one of the waitresses, she apologised profusely and offered us another round of of drinks on the house, turning a potentially annoying situation into an enjoyable one. Seriously customer service is what makes or breaks a meal so often nowadays, and I’m glad that the staff at Serotonin have been trained properly. 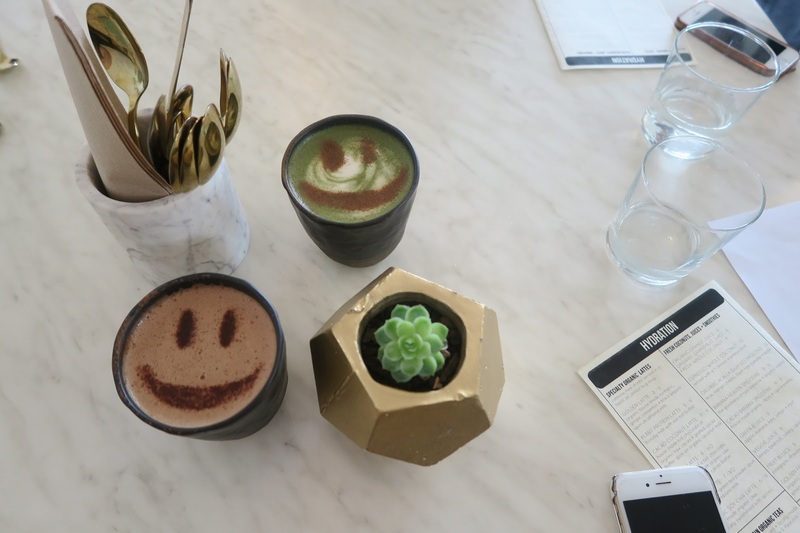 The cacao coconut latte combines my two favourite flavours, coconut and chocolate, and with some more added raw sugar, the drink made the wait for the food feel like nothing! Everyone and their mum have been raving about these pancakes, so of course we had to give them a go. 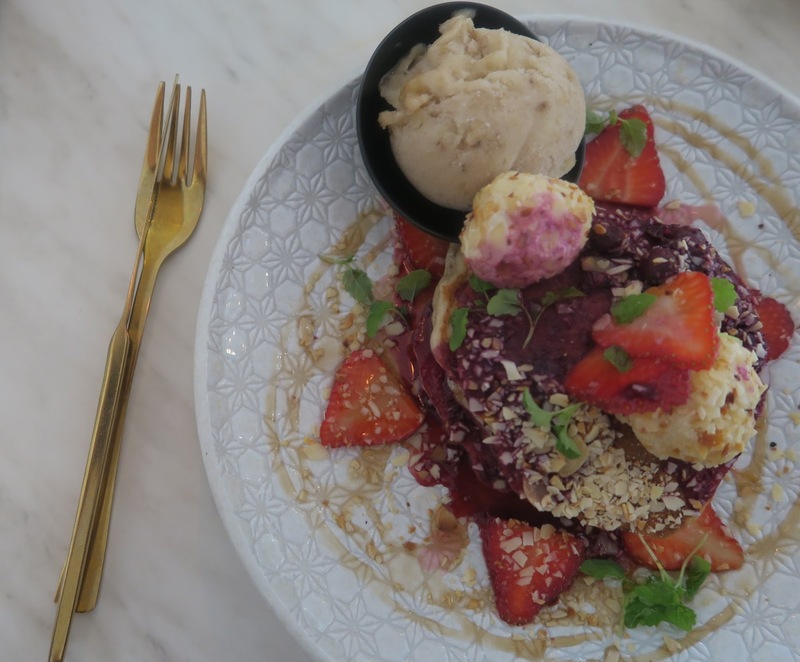 The pancakes tasted… healthy, and banana-ey, which comes at no surprise since it’s made with dehydrated banana flour (yup that’s a thing now), with banana (n)ice cream, blueberries coulis, fresh strawberries and toasted almonds on top. 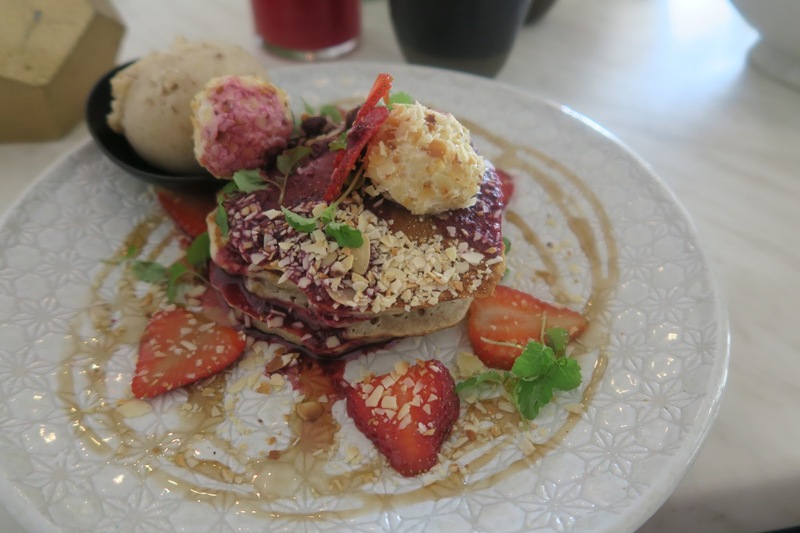 This actually tasted alright, but it’s just not my type of pancakes unfortunately. I mean if I’m craving pancakes, I want pancakes that taste of straight up flour and butter, with maybe caramelised bananas and crispy bacon on top, all drowned in a good amount of maple syrup. I know that’s clearly against literally all the things Serotonin appear to be, but hey, each to their own. 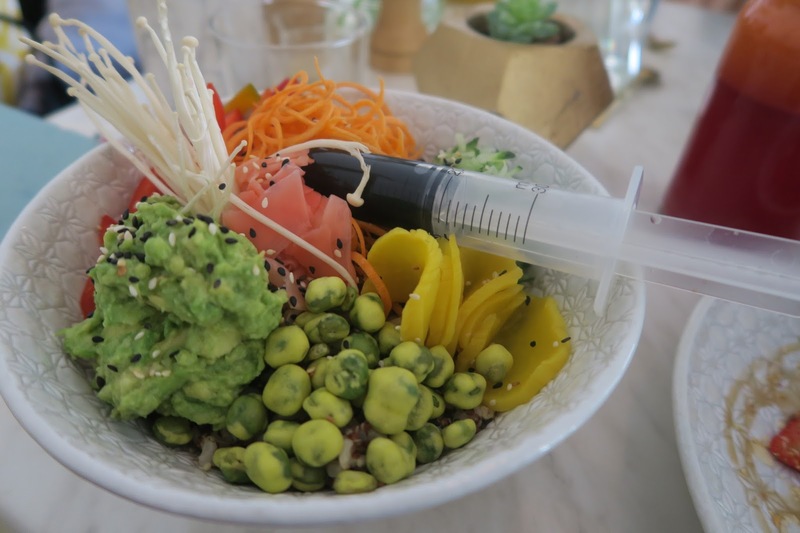 My friend found the syringe of soy sauce way too entertaining, and thoroughly enjoyed squirting it over the wasabi peas, smashed avocado, capsicum, pickled ginger, sliced daikon, cucumber and carrots, and the bed of brown rice and quinoa. After mixing it all up, the result was a light version of a sushi bowl. The wasabi peas and daikon did ensure that there were some texture going on though. 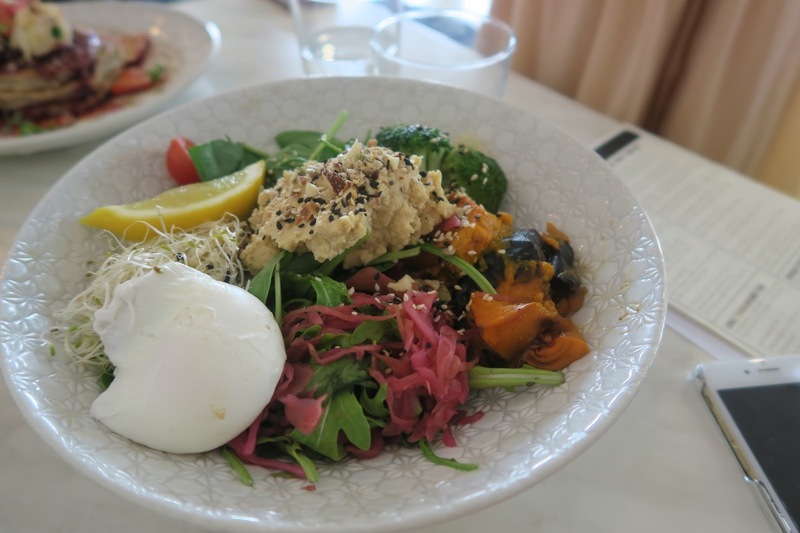 Another crowd favourite is the nutrition bomb, and it’s definitely packed full of nutrients from the variety of fresh and roasted vegetables. The hummus acted as the dressing, and the overall result was a bit bland. A tahini dressing might have added some more flavour? I did like the roasted pumpkin though! 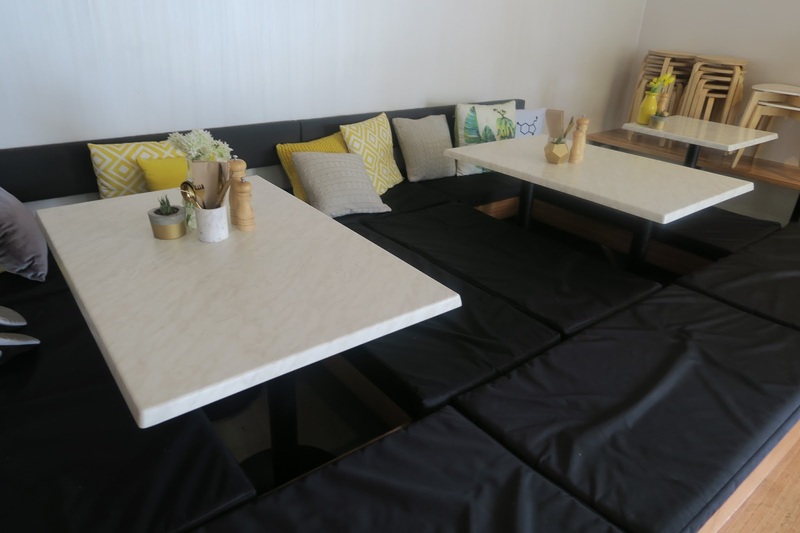 Apparently there is seven different types of sitting areas decked out in the space, you can even grab your food to go in a picnic basket and have a cute little picnic across the street! 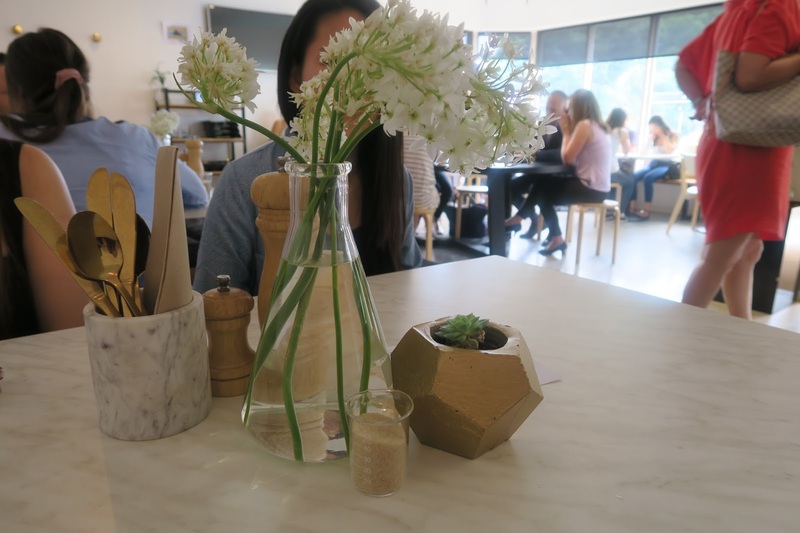 Although the friendly service at Serotonin was impeccable, unfortunately the food was just not that special to me. 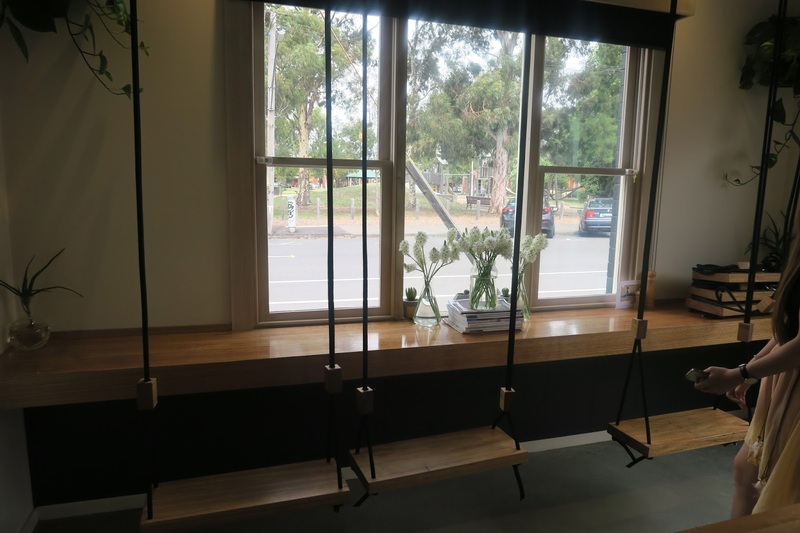 I mean I get the whole health craze that Melbourne is so infatuated with, and this is the perfect place to rock up in your Lululemon get up and fit right in, but in all respect, that’s just not my cup of tea. 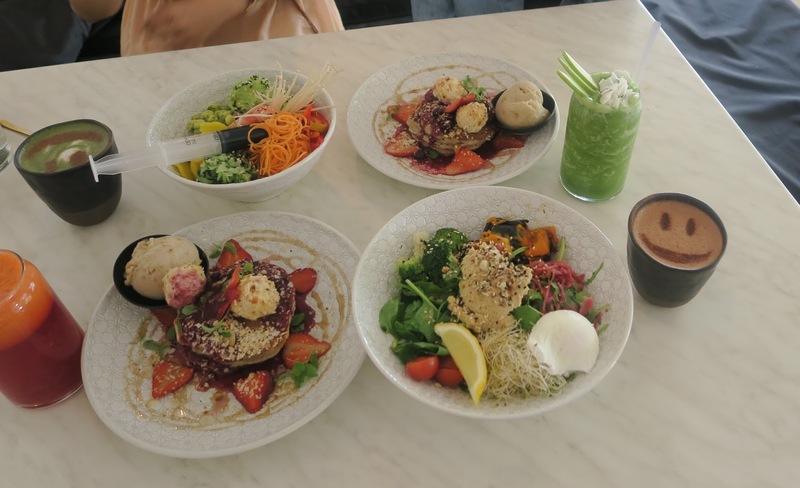 I just feel like I could have whipped up most of the dishes here without too much issue at home, and can’t justify paying over $20 for a bowl of vegetables that did not require much prepping, and was nothing special flavour wise. The restaurant was packed the entire time we were here, so clearly I’m the odd one out in this situation. If you’re wanting something light and nutritious for brunch and can’t be bothered cooking yourself, then I guess Serotonin is the right place for you. Catch the Glen Waverley, Lilydale, or Belgrave train and get off at Burnley, the restaurant is pretty much right across the station!